Please don't shoot the messenger, but there's a good chance you've been parting your hair wrong for a very, very long time. Here's why. "A woman who cuts her hair is abo ut to change her life," the celebrated Coco Chanel once said. But, what about a woman who changes her part? If you've ever attempted to flip your hair from the left to the right, or vice versa, you likely had a hard time adjusting to your new look. It's amazing the difference something so simple can have. When Byrdie asked celebrity hairstylist Mika Fowler for her professional opinion on the best and most flattering parts for the varying face shapes, she obliged. "If you have a round shape, the ideal part line is down the middle or a deep side part," she said. For those with oblong faces, she recommended a middle part. While this information is certainly helpful, there's more to know about parting your hair than just the shape of your face. And, please don't shoot the messenger, but there's a good chance you've been parting your hair wrong for a very, very long time. Here's why. The first action you need to take to figure out how you should be parting your hair is super simple. Instead of analyzing your face in the mirror, trying to decipher if its more heart- than round-shaped, just take a shower. Okay, a little more is involved than just washing your hair, but still. "Comb back your wet hair with your fingers," hairstylist Paul Warren explained to Refinery29, "and then push forward with your palm at the crown of your head." According to the accomplished celebrity stylist, your hair will then "split where it naturally falls." Gone are the days of having to pick a part according to what's most "flattering." While Warren admitted that "the [face-shape guide] was a nice rubric," he doesn't think it matters these days. That's right, ladies. Instead of scouring Google images to find how celebrities who might have a similar face shape to yours have parted their hair, you can simply rock your au naturel part. And isn't that just so much simpler? While it's true that you don't have to do much more than embrace your natural part, you may want to try something different. And try you may. Not to compare your luscious locks to a dog, but the wonderful thing about hair is that, for the most part, it can be trained to do as you say. Hair colorist and popular YouTuber Silvia Reis (aka Ellebangs) advised women to experiment with different parts. "It's easy to put back if you don't like it, and you can have a lot of fun with your look without much risk," she said when speaking to InStyle. 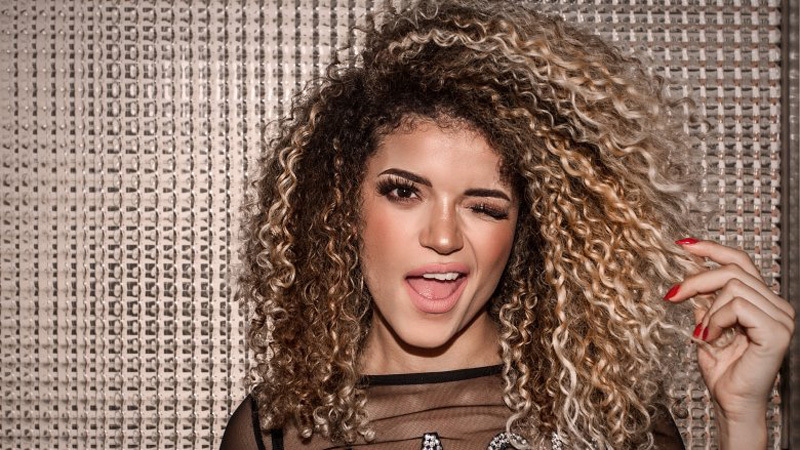 Unlike hairstylist Paul Warren, Reis does still think it's important to pick a part that flatters your face so she recommends paying attention to how the part "calls attention to your features." Arguably the best part of switching up your part is how easy it is to do. "It's a simple thing that takes two seconds, but it can completely change your hairstyle," said Reis. She isn't wrong. When's the last time you parted your hair down the middle? For some, the idea of trying out this classic part can be downright frightening. We get it. "Middle-parts get a rap for looking young because, usually, you see middle-parts on young girls," Paul Warren told Refinery29. While the style may often be associated with little ones, women who embrace the middle part past childhood can end up looking up way more avant-garde than juvenile. A great way to play up the middle part, according to Warren, is with long straight bangs framing your face. Think: Brigitte Bardot circa late 1960s. Though, if you are one of the (lucky) ones who has managed to maintain a youthful appearance through adulthood, a middle part might just take even more years off your look. Since you probably want to look sophisticated, not childish, a middle part may be best left to others in this case. It's not solely women with youthful-looking faces that struggle with the middle part. You might even say that, for some women, the middle part is their great white whale. And, we'll be honest with you, not everyone can pull off the middle part — no matter how hard they chase after it. 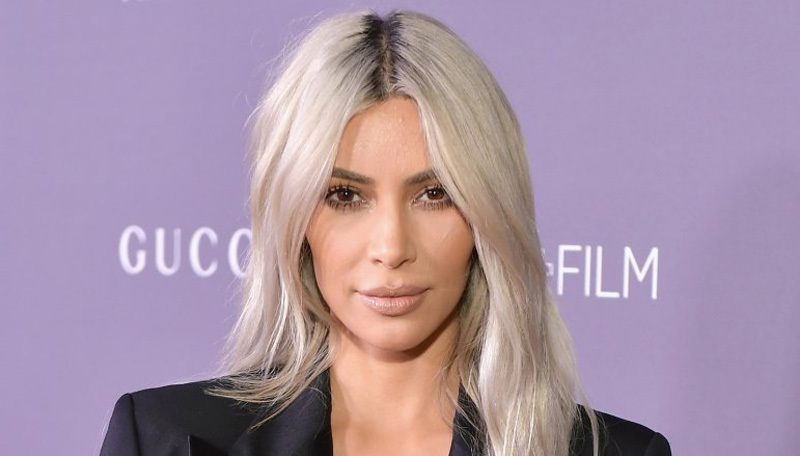 Parting your hair down the center à la Kim Kardashian can make for a severe and stunning style, but what works for her may not work for us. Silvia Reis told InStyle that the middle part "can be the least forgiving" of them all. Especially "if there are any uneven areas on the face, as it can call attention to them." Reis went on to explain that separating your hair down the middle can also exaggerate the shape of a long face. Still, if you're determined to pull off this look, you can try a modified center part of sorts by sectioning your hair just slightly off center. "It throws the eye off, so nothing looks out of balance, but gives off the illusion of a center part," Reis explained. Taming lions is impressive, sure, but have you ever tried to tame a wild mane? Now that's a circus. 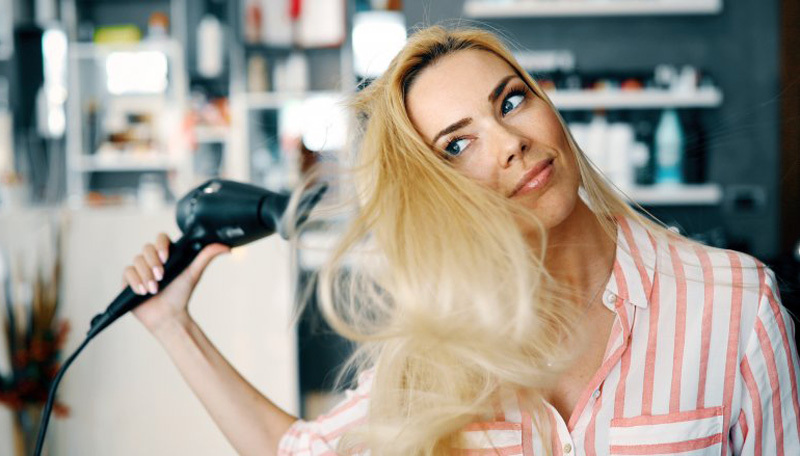 If you are blessed — or as some would say cursed — with spirally tresses, you've undoubtedly spent a good chunk of time trying to get them to lay a certain way, even if that meant a bunch of heat treatments. While embracing your natural hair seems almost too easy, that's exactly what some hairstylists recommend. "Let them fall wherever they go," celebrity hairstylist Tommy Buckett told Allure, "It looks more modern when they're messy anyway." So, if your hair naturally falls left, right, or center — or even some combination of the three — don't fret. We promise you it looks amazing. Of course, that's not to say you're stuck with your natural part. If you do decide you want to try something different, there's a way. When speaking to Glamour, celebrity hairstylist Jenny Cho recommended parting your hair while it's wet as this will make it last much longer. As an extra defense, comb your locks with leave-in conditioner and apply your preferred curl cream, working from root to tip. Once upon a time in the late '90s, two Manhattan-based siblings, John Walter, a physics and computer science expert, and Catherine Walter, who has a background in cultural anthropology, came up with an interesting idea: the Hair Part Theory. The theory (via The Atlantic) states, in part: "The way a person parts [his or her] hair is related to many subconscious associations when assessed by others." The Walters' believe that these behavioral cycles in turn affect "personality development." The theory suggests that parting your hair on the left would call attention to the processes of the brain's left hemisphere, like logic. Likewise, parting your hair on the right would call attention to the right hemisphere processes, like creativity. Left hemisphere processes are also seen as more masculine, while the right are considered "natural" for women, says the Walters. "Margaret Thatcher's left-side part supposedly enhanced her aura of strength and will," wrote The Atlantic. Whereas Robert Kennedy, with his right-side part, gave him an "intriguingly soft dimension." Change your part, change your life? Apparently. This part is "universally flattering"
There is one part, in particular, that hair expert Silvia Reis says is "universally flattering": the side part. Even Jenny Cho, the stylist who gave her face shape-based recommendations to Byrdie, insists that this part will work with a variety of face shapes, including round, oval, square, heart, and diamond. Basically, everyone can make the side part work for them. "If you have a stronger brow, part your hair to show that off as more of the face is exposed on that side," Reis suggested to InStyle. If you're nervous to dive into the deep side part trend, Reis highlighted a diagonal alternative. Parting your hair on the side, while also diagonally, enables you to get the sweeping, tousled style you love while still allowing the left, right, and even back sections of your hair to remain evenly distributed. Plus, it looks amazing. 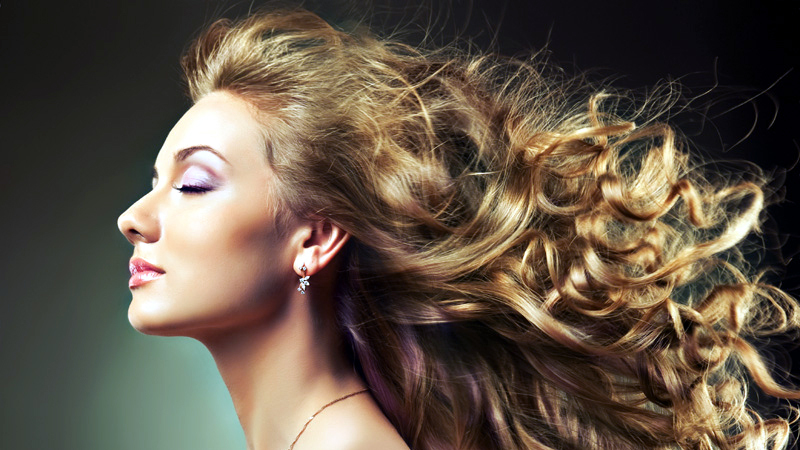 If you have fine hair, it's safe to say you've used many a volumizer in your lifetime. 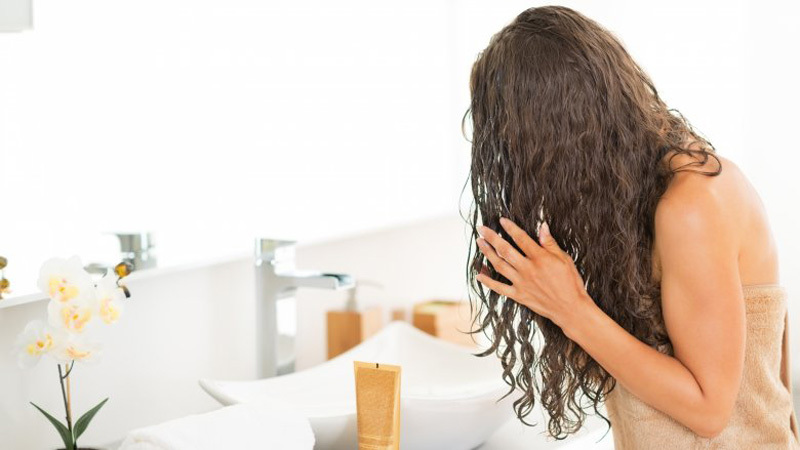 While there's really no substitute for a good hair product, a part can actually make a huge difference on its own. That is, the deep side part. When speaking with Allure, hairstylist Nathaniel Hawkins recommended beginning your part in line with the center of your iris and then moving diagonally toward your crown. He explained his reasoning, saying, "This allows you to have fullness on one side while still creating an even distribution of hair." This same trick will also work if your hair is starting to thin. A deep side part adds both fullness and volume, hairstylist Dana Caschetta told Today. In addition to parting your hair off to one side, blow-drying your hair in a flat-wrapping fashion will also add body. Devin Graciano, founder and CEO of Use Me Hair, explained, saying "Think of this as blowing your hair in a comb-over from ear to ear, alternating sides." It may sound silly, but it'll look great. Despite their cutesy nickname, cowlicks can be totally frustrating. Surprisingly, nearly everyone has a cowlick — though, to varying degrees. The reason for this is fairly simple. "In a perfect world, there would be a line so hair would know which way to go," Orr Barak, a dermatologist at Tufts Medical Center in Boston, Massachusetts, told NBC News. Instead, a cowlick creates its own center point — its crosshairs, if you will — and that is where your hair will change directions. No matter what you do, that cowlick is going to resist. Hairline cowlicks can pose a particularly challenging problem because of where they are located on the scalp. Although hairstylist Tommy Buckett acknowledges the annoyance, he told Allure you still "have to part hair the way the cowlick's going." While it may sound counterintuitive, this will actually enable your cowlick to hide in plain sight. Okay, cowlick, you win this round.